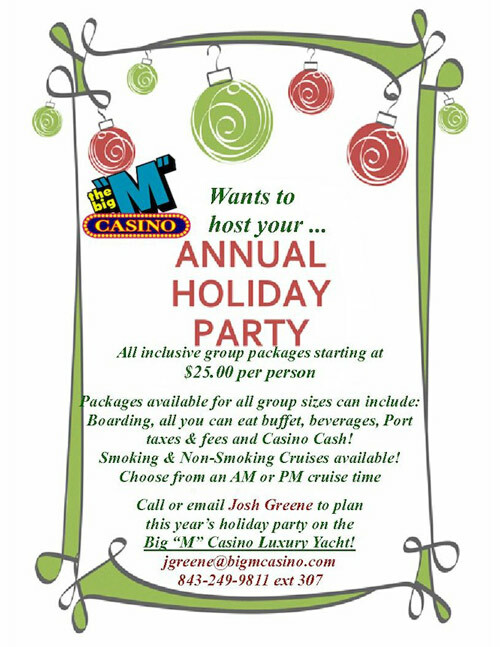 Ready to Enjoy a Great Gambling Cruise! Our thoughts are with all of those who live on the East Coast and have experienced the lasting effects of Hurricane Matthew, especially those in Myrtle Beach. Due to Hurricane Matthew, our ships had to be moved from their home port for their safety. We are pleased to announce our ships have been cleared to return to our Little River Docks! 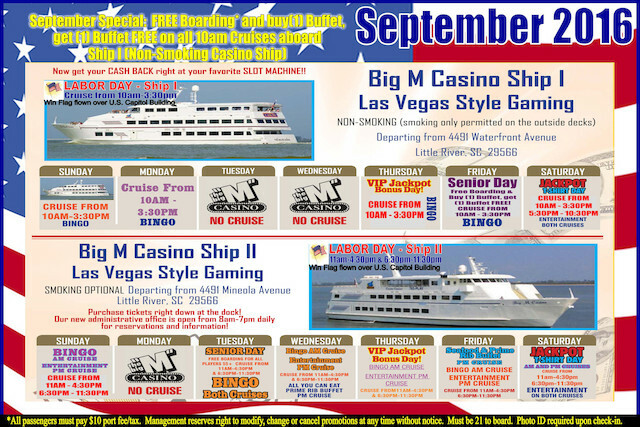 Both of our ships will be back in operation Wednesday morning – October 12th! 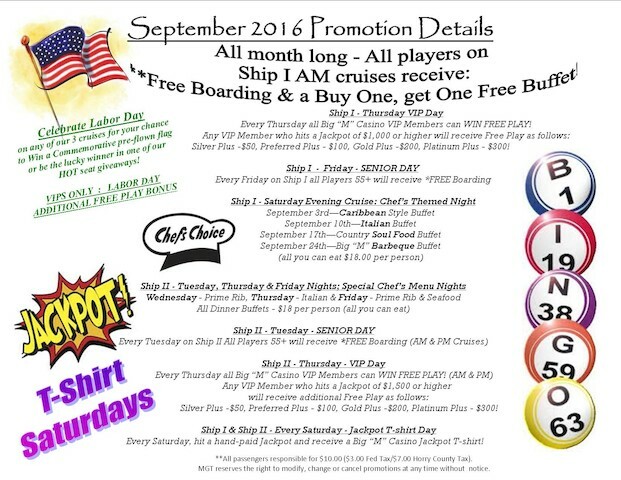 Join us on Ship II for our 11:00 am – 4:30 pm cruise. We’ll be back on our regular schedule so make your reservations now. We have missed you! 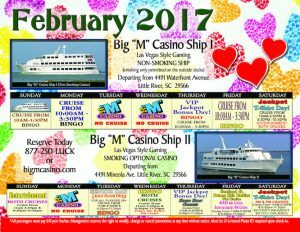 Couldn’t you use a gambling cruise on the Big “M” about now? 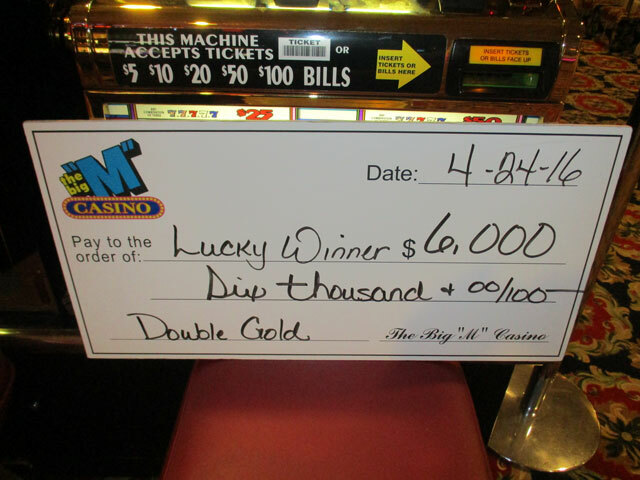 The Big “M” Casino Celebrates 8 Year Anniversary in Myrtle Beach – May 20! 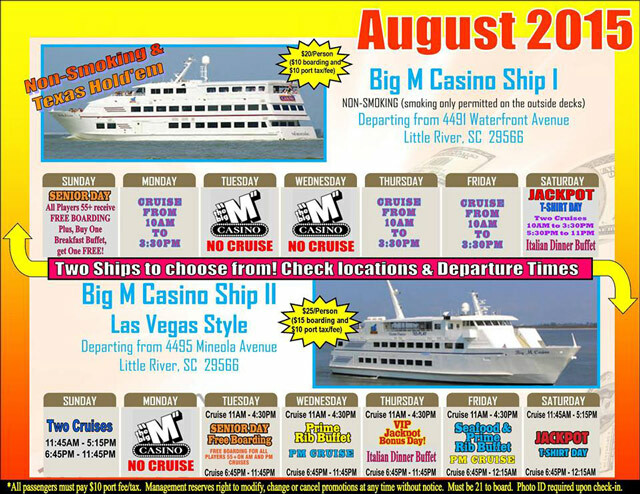 When was the last time you took a cruise on our Big “M” Casino luxury yachts? 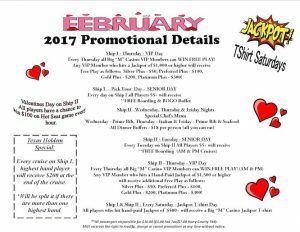 Are you one of our “Recent Winners”? 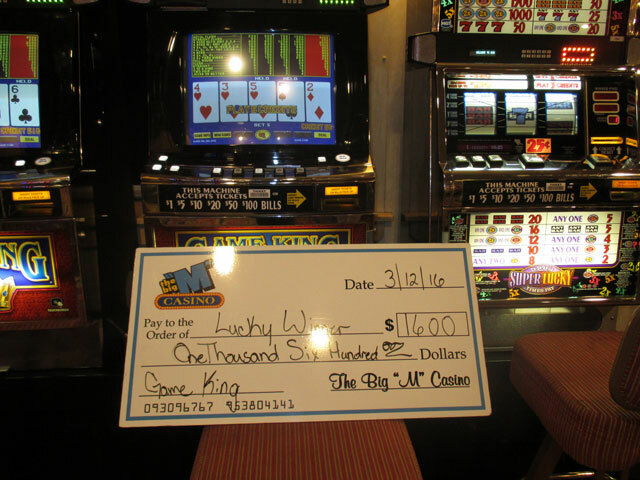 Is your photo in our “Recent Winners” album? 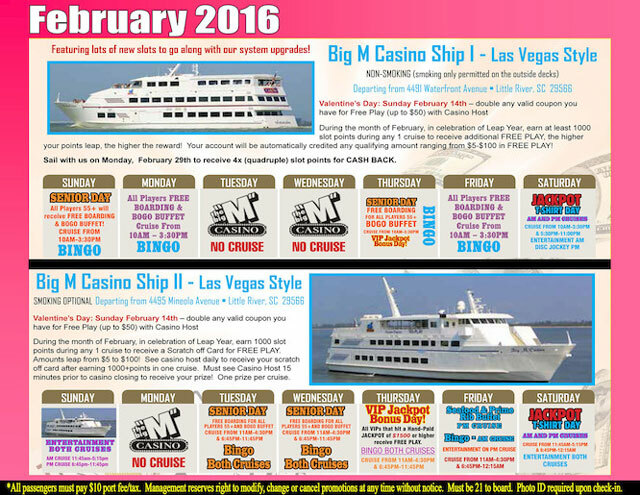 So…has it been a while since you joined us for a cruise on our Big “M” Casino luxury yachts? 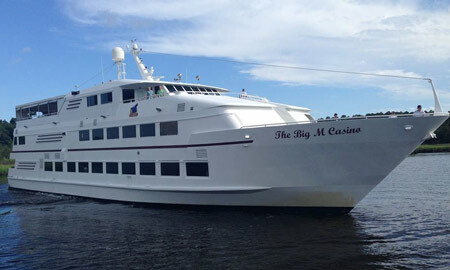 Do you miss cruising through the water, watching for dolphins and just enjoying the breeze?